Not only did we get two new devices from Google today, the Nexus 7 and Chromecast, but we got a brand new version of the Android OS. Android 4.3, still named Jelly Bean, isn’t the most major update for the OS we have seen, but it does bring a few things that people should enjoy. 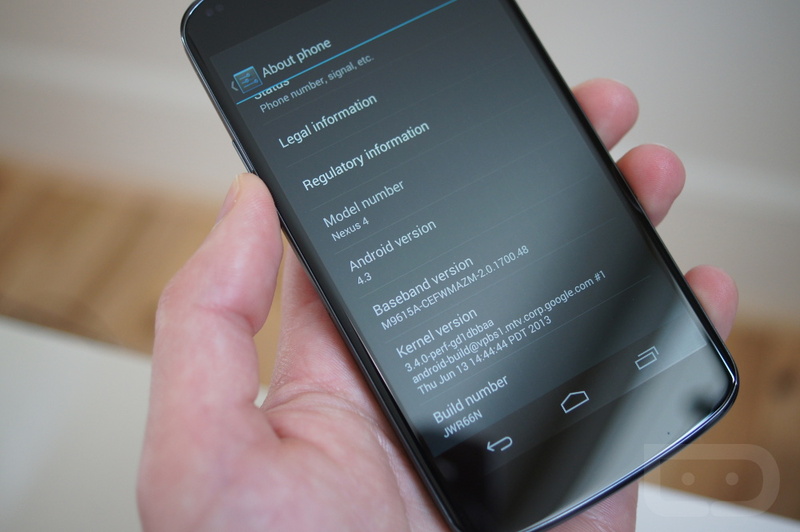 Below, we will go over the additions to Android 4.3 as highlighted by the Android team on their official blog. Certain sensors and devices that rely on Bluetooth Low Energy will now finally have support on Android. For example, there are many fitness bands that you can strap to your body, which will then relay information straight to your device via Bluetooth Smart. These sensors can check heart beat, calories burned during a workout and things of that nature. What makes Smart different is that it consumes less power to transmit this information to your device, allowing for both your phone and sensor to last longer. 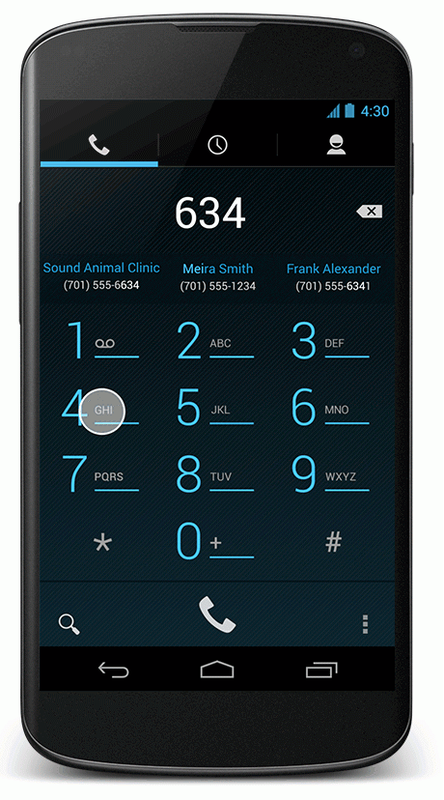 The stock dialer got a fancy update, now allowing for an auto-complete setting. When typing out a number or even a name in the dialer, the device will automatically check your entry against the address book to save you some time. It shows three numbers at once, so the chances of it hitting the right number and saving you some key presses is quite high. This feature can be toggled on and off in the Settings menu. The new Nexus 7 comes equipped with support for OpenGL ES 3.0, the newest industry standard for accelerated 3D graphics. What this will allow for are more immersive and highly-detailed games to be made available for the platform. “This brings photorealism to a whole new level in the games you’re playing: blades of grass on the soccer field come alive, asphalt on the street looks real as you screech by, stubble on a villains’ face almost pokes out of the screen.” Developers can already go out and start taking advantage of this for their games through Google’s developer site. An addition that only tablet users will be able to use is Restricted Profiles. There is already multiple account support on Android tablets running Jelly Bean, but with these new restricted profiles, one account can be used to manage other accounts on the device. For example, if there is one tablet to a family of five, the children’s accounts can be set up not to display mature content and will allow for a safe browsing/gaming experience on the device. Each account can have its own settings, so while one account isn’t allowed to do Google searches, the others are. And that’s it for the major changes. Check out the full blog post from the Android team and the Android site for the full changelog.